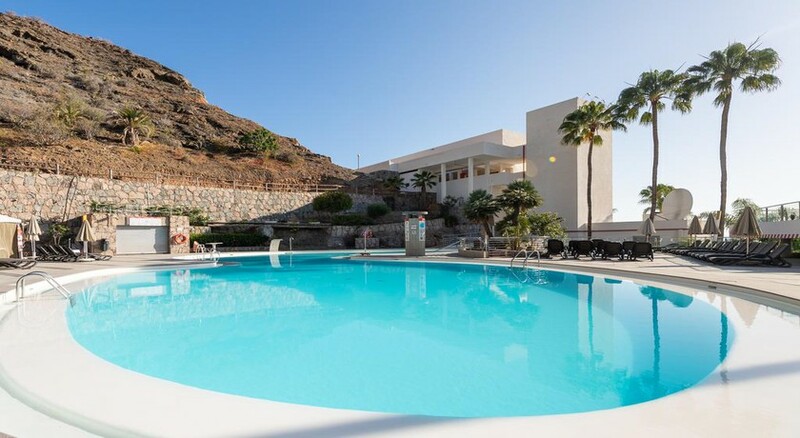 Holiday Club Puerto Calma enjoys a fantastic location on the hill overlooking the sea, which makes it a perfect place to stay for both mountain and beach lovers. As the hotel is centrally situated, numerous shopping malls, beaches, golf courses and many more historical attractions are easily accessible. It houses eleven two-bedrooms and 98 one-bedroom apartments that comprise well-appointed kitchens, air conditioning and complete range of day to day amenities. There is a large outdoor swimming pool, where the guests can have a refreshing swim under the sun. The resort also offers airport shuttle service exclusively for its guests for a small charge. If you are looking for a refreshing family holiday, then the Holiday Club Puerto Calma is sure to satisfy. 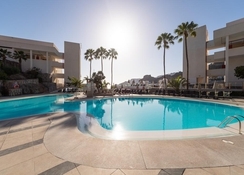 Holiday Club Puerto Calma is centrally located in Gran Canaria. It is only a short stroll away from the beach, which is surely some good news for beach lovers. Those who want to satisfy their luxury shopping requirements can head over to the Puerto Rico Shopping Centre, which is only a short drive away. The Gran Canaria Airport is about 48.6km from the resort. With ninety-eight one bedroom apartments and eleven two bedroom apartments the resort satisfies the diverse requirements of solo travellers, couples, families and group of friends. All the apartments were recently renovated to visually appeal to the hotel’s guests. The guestrooms have all the necessary amenities that include flat screen TV, air conditioning, sofa set, table, chairs, fully-furnished kitchen with all the amenities, bathroom with toiletries and In-room service. There are several restaurants and bars within the hotel to satisfy your gastronomy requirements. Guests who are fond of Italian delicacies can step into Puerto Calma-Sensi Restaurant, it is open for dinner. Hit the Playa Amadores Aqui Restaurant & Bar for enjoying eclectic cuisine, open from 9am – midnight breakfast, lunch, dinner and alcoholic & non-alcoholic beverages. The Sol Amadores Pool Bar serves refreshing drinks to guests by the pool, moreover, both adults and kids can enjoy live music and quiz every Friday during 6:30pm – 10pm. There is another pool bar namely Puerto Calma-Pool Bar, which is open during 9am – 5pm. Or just sit back, relax and have refreshing drinks at the Puerto Calma-Urban Lounge Bar, it is open on Monday, Friday and Sunday. Sports and entertainment facilities are available in abundance in and around the resort, which will keep the guests engaged round the day. The vacation club, which is a new concept is exclusively designed for the benefiting guests, it includes enthralling events, activities and outings. The most popular excursions offered by the resort include jeep safaris, holiday world, Palmitos park, dolphin watching boat trips, island sight-seeing and water park adventures. 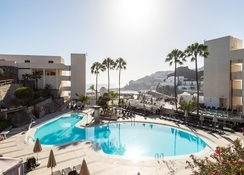 Other facilities in the hotel include sauna, gym, squash, mini golf, massage, courtesy bus to and from Amadores Beach.